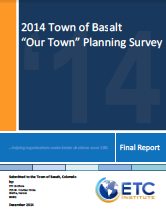 On April 28th the Basalt Town Council approved Resolution No. 19, Series of 2015. In this resolution, the Town Council identified the Proposed Downtown Planning Map (Exhibit A) as a plan for potential buildings and park area. Resolution No. 19 also directs Staff to seek additional public input through the Our Town Planning website and an additional public meeting. Click here for the Resolution and Exhibit A. 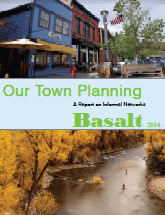 Feel free to email OurPlan@Basalt.net with your thoughtful comments about the Proposed Downtown Planning Map. Your thoughtful reflections/comments about the Lowe presentation are welcomed at OurPlan@basalt.net As an example, Paul Andersen wrote an analysis on the Lowe Enterprises hotel proposal referenced in Scott Condon’s article in the Aspen Times on Friday, March 27th http://www.aspentimes.com/news/15651018-113/analysis-compares-basalt-hotel-project-with-committees-advice Andersen wrote the analysis entitled, “Where is the Turkish Bathhouse?”, on his own initiative. It is not part of the official DAAC process and he did not seek endorsement by individual DAAC members. Andersen is hopeful that the article and the analysis will provide yet more dialogue on the Lowe proposal and community vision.